A welcome return for the Ohana brand on Got A Ukulele with their latest tiny uke in the form of the "O'Nino" model. This is not the first sub-soprano scale ukulele I have looked at on the site, and nor is it the first sub-soprano for Ohana, as this follows on from their earlier SK21 series. The difference with the O'Nino however is that it even smaller than the 21 series. Call it a sopranino, call it a sopranissimo, call it a sub-soprano, call it what you like. It's a very small ukulele! And like a lot of the Ohana line, it is made in China, but brought back to the USA for quality control before distribution. I must say, their QC is pretty good too, as I have rarely (if ever) seen a truly bad Ohana. With a scale length of 11 inches and an overall length tip to tail of only 17 inches, this is certainly a tiny ukulele. Not the smallest out thre by any means as ukuleles like the Tiny Tangi and the Nano Ukes built by Andy Miles are smaller, but it's still smaller than a soprano, and the smallest yet from Ohana. Readers will know of my love for the John Daniel Pixie Sopranino instrument and this O'Nino is very slightly smaller than that! Size apart though, this is a standard double bout instrument made from all solid mahogany. I really like the shape, and that narrower upper bout which exaggerates the small scale to the eye even further. The whole body on this review model is flawless and finished in a semi gloss coat that is neatly applied all over the instrument. I've commented on these finishes before on the likes of Kala ukuleles. They are a way apart from a hand rubbed finish which I prefer, and can sometimes look a little synthetic. Saying that, it doesn't look all that artificial and the wood grain shows through the top very nicely. It looks like a solid wood Ohana! Decorating the edge of the top is a strip of well applied cream binding with black and white stripe detail and a similar cream and black inlaid rosette around the sound hole. It all looks classy and traditional and I like it a lot. The top is a single piece of wood, which is not surprising considering the size of the body. The bridge is a slotted rosewood affair, meaning straighforward string changes with a white uncompensated saddle that looked to me like plastic, but specs tell me is made of bone. The bridge plate is mounted low down on the top of the instrument to keep the scale length without making the ukulele overly large. I like the look of that too. The sides are made of a single piece of solid mahogany as is the back which is dead flat. Where the back meets the sides we have more edge binding but this time in straight cream with no detailing. I like the whole look of the body and it screams ukulele whilst also looking typically Ohana. A look inside the soundhole shows a typical Ohana tidy build, with notched kerfing and no mess or glue spots. All very nice so far. The neck is made from mahogany and finished in the same satin, meaning it's nice on the hand. It's made from three pieces with a joint at the heel and one near the nut. I'll come on to the width and profile of the neck in a moment. Topping the neck is a rosewood fretboard with some colour variation near the upper frets which I think actually looks quite nice. It is fitted with 12 nickel silver frets, so a standard soprano number really. They are all dressed very nicely and are of the more jumbo style in width. The end of the fingerboard is also nicely shaped adding another detail to an instrument that already looks quite classy. We have pearloid position markers at the 5th, 7th and 10th spaces, but none on the side. I usually consider the lack of side markers to be a gripe, but thinking about it on a sopranino, I consider it less of an issue. The small nature of the uke, and the way you need to hold it means that it's probably hard to see the side of the neck in any event, and certainly your fretting hand will hide a lot of it. Up to the nut, and this is an area that is always of great interest to people wanting a sub-soprano scale instrument. You see, reason suggests that as you go down in overall size, the nut will get narrower too, and if there is one thing that makes a ukulele harder to play it's a narrow nut. In some cases the nuts get too narrow, as was the case with the iUke, but the John Daniel shows that they can be made wider. I measure the nut on the O'Nino as 33.5mm, so very slightly (0.5mm) narrower than the Daniel, but still bigger than the iUke Piccolo by several millimetres. I think it could do with being wider still, but then I think the John Daniel would benefit from that too (and neither are as bad as the iUke in that respect). Talking in millimetres may not seem like much to sniff at, but trust me - nut width is really noticeable when playing and despite the endless myths, has far more impact on space for large hands than the scale of the instrument does. So, thankfully, even with big hands, I can manage this one (wheras I struggled with the iUke). The O'Nino also has a fairly shallow neck profile so it does kind of feel bigger than it is when in the hands anyway. That nut incidentally is also made of bone. Moving up to the headstock, and we find the first things that I was not too pleased with. Firstly, the headstock is finished nicely, and employs the traditional Ohana curved top. The logo is not screen printed, rather is inlaid in pearloid and looks good. The size however really stands out to me. In fact it looks no different to the headstock on a standard Ohana soprano. I think it's just too big and would have loved to see it smaller. Take a look at the headstock on the John Daniel to see that it is tiny in comparison. And flipping it over we see another change from the SK21, and the reason for that large headstock. Whilst the 21 was fitted with decent quality Gotoh friction pegs, Ohana have reverted to unbranded open gears on the O'Nino. They are good enough quality in themselves with small white buttons, but you know me.... On small ukuleles I just think they look better with friction pegs to get rid of the 'ears' look. I know why they will have done it, as many beginners reject instruments with friction pegs off hand, but I'd have a couple of things to say to that. First, the SK21 pegs were not the worst friction pegs and shouldn't be rejected, and secondly, I think the O'Nino appeals to more than just beginners. I suspect more seasoned ukulele players may be agreeing with me on the lack of friciton tuners here. Yes, beginners will welcome gears, but what about the rest of us? All things considered, I just think the headstock is out of keeping with the rest of the instrument - big headstock / big tuner / Tiny uke... Will that affect the way it plays? Completing the deal is a set of Aquila strings, and the O'Nino carries an RRP of $219. 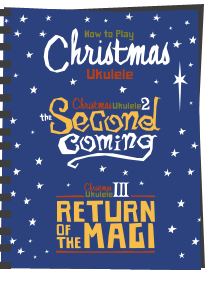 In reality you will find them at much more competitive prices online with Ohana dealers like Mims Ukes stocking them at about $140 at the time of writing and about £120 in the UK at somewhere like SUS. You will have noticed a gig bag in the pictures. That doesn't come included, but this is the Ohana UB19 bag they recommend for this model, and will set you back a few dollars more. So be honest though, you could carry this in a sock! So all in all we have an instrument that will appeal to those in want of a sub-soprano fix. It's well made, looks classy and has a pleasing nut width. Shame about the headstock and tuners... but on to the playing! First of all, in the hand it is very comfortable. 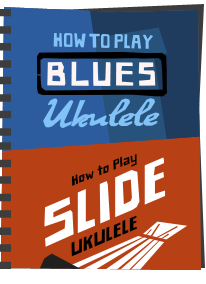 Sure, being so small I wouldn't recommend any sub soprano as a first timer's ukulele, but if you know the ropes, you will not struggle with this one. It feels nice on the finish and it's light and well balanced to despite the gears and large headstock. And that body size has other advantages too of course - travel with one of these would be a breeze! Tuning wise you have a number of options, but I tend to work on the basis that a sopranissimo is something you buy knowing that you will tune it differently from standard. Yes, you could get away with tuning it to standard C tuning (though the strings would be too floppy for my liking and it may cause intonation issues). 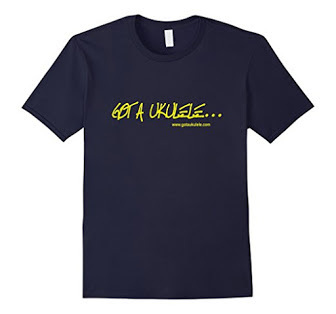 You could go C tuning but one octave higher like the iUke (with different strings! ), but I seriously dislike that shrill sound. Come on, the ukulele is already very high pitched and I find that 'even higher' C tuning is like nails on a blackboard to me. I saw Mim's recommendation was to try D tuning, but found that the intonation was a bit off with the 3rd string. If this were my ukulele I would however experiement and probably try F tuning like I usually use on the John Daniel which I find works well at this scale. SUS recommend Eb tuning which is somewhere between those two and that's what I chose for the video review. So lots of options really. And yes, I know, some will be reading saying 'but I don't know the chords for that tuning' and may be put off. You really do know how though, and working them out is far simpler than you may think. Have a read of this! (Seriously, don't be afraid of alternate tunings - you know the shapes!). But, for now, Eb tuning it is (ie Bb, Eb, G, C), and it actually feels quite comfortable that way and intonates well. String tension is ok too. Your mileage may vary of course, but you know - no rules. 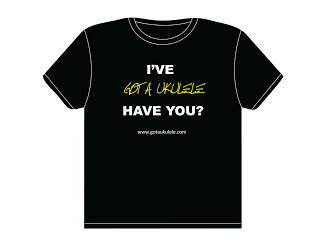 Your uke - tune it how you are comfortable. Setup on this one was very good, and I am pleased about that for good reason. The smaller you go with a ukulele scale the more necessary it is to have good intonation setup on the instrument. In other words, the larger ukuleles hide such innacuracies better, but if you are only a tiny bit out on a sopranino, you WILL notice it. For that reason I would certainly recommend you buy this from a specialist dealer who will offer a setup (somewhere like Mim's, HMS or SUS). I know I bang on about the big box shippers not doing setups, and I know many of you risk it, but trust me - this is an instrument for which you will definitely want the setup to be exact. 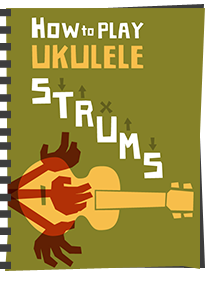 Some say that it's impossible to get a sopranino perfect, and when you understand that all ukulele tuning is something of a 'fudge' in any case, I can understand why. This one is close enough for me though, and it's hardly and instrument for playing orchestral pieces right up at the dusty end of the fretboard in any case I suppose. 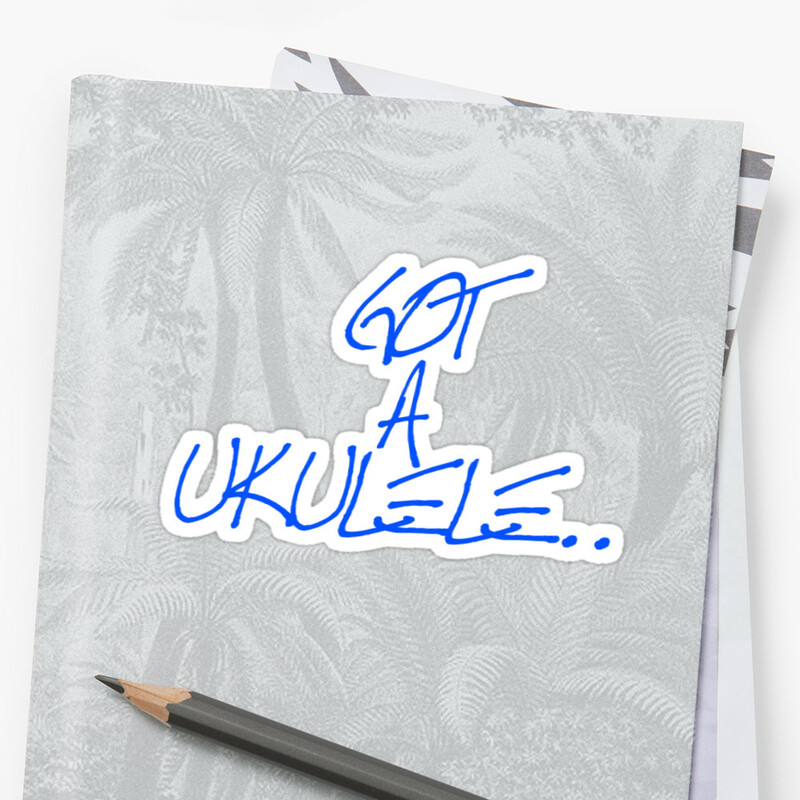 Sound wise, I find that people tend to fall into two camps when it comes to ultra small ukuleles. Those that love them and those that don't... (Well duh!).. But in that 'don't' camp, the dismissers tend to be those who don't like them for the simple reason of the staccato sound they have. To me though that is exactly the point of them. The soprano ukulele itself was designed to be a staccato, almost rhythmical instrument and not one for long sustain and massive resonance. That is the point of a soprano in my book. So if you go even smaller it stands to reason that the sub-soprano ukuleles are going to sound even more rhythmical. Of course, you are free to like what you like, but personally I like the range of all sizes of ukulele. If I want sustain and resonance I will go tenor or baritone, if I want something that is more rhythmical, I go soprano. And that's what you get with a sopranino - in spades. This one is certainly playable, and unlike the neck on the iUke, for someone with my sized hands, enjoyable too. It's certainly staccato as I say, but great fun to strum fast. The sustain is short, but really not much different from that on my much loved John Daniel. Tone wise, it's far, far brighter from the Daniel, which is also made from solid Mahogany. Whether that is down to the strings or the build I am not wholly sure, but it doesn't make one worse than the other - just different. Like many things it will come down to personal taste, and at this size I have to say I like the John Daniel tone quite a bit more, but maybe that's just me. Saying that, I do recall playing an Ohana SK21 and I much prefer the O'Nino tone. It also beats the tone on the Kala Pocket for me and certainly that of the iUke. Volume wise, with a body this small, you are never going to wake the neighbours, but it's as loud as the John Daniel (just in a different way) and great for home use. If you wanted to perform with it - hey, that's why they invented microphones! All in all, a very well made, nice looking instrument from a reliable brand. No, I don't like the tuners, but I know many of you will and think I am crazy for not wanting gears. I suppose I could always swap them out though. Tuners aside, I think the headstock is just all out of proportion, but that's a personal gripe and it doesn't affect the play in any way. A sopranino is never going to have massive sustain and killer tone, but as I say, that's not the point of them. As sopraninos go though, this is one of the better ones around. 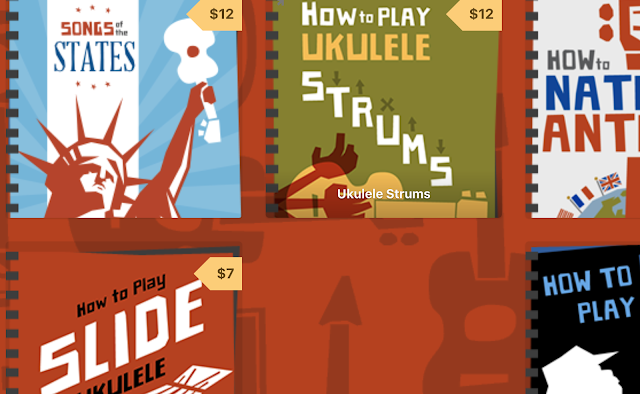 At the deals on price I am seeing, I think it's something of a no brainer as a fun addition to your ukulele collection.